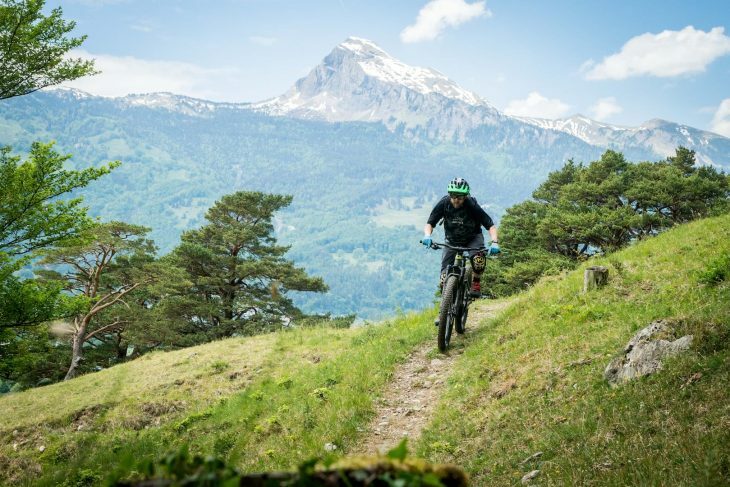 Last month Mark was whisked off to the Swiss spa town of Bad Ragaz to get a first look at the 2019 Trek Powerfly LT 9 e-MTB. 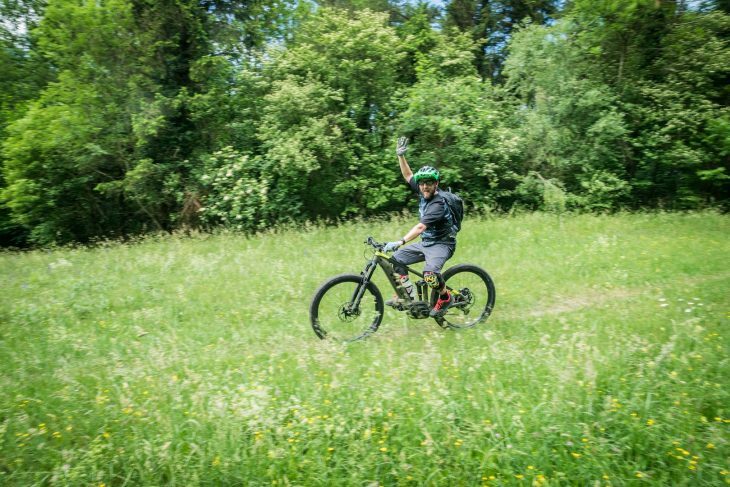 After a day of riding it and listening to the presentation pitch in a rather swanky hotel he laid down his initial thoughts via the medium of video. What’s interesting about the latest iteration of big brand e-MTBs is the way they are all (mostly) going to great lengths to integrate the battery inside the down-tube. 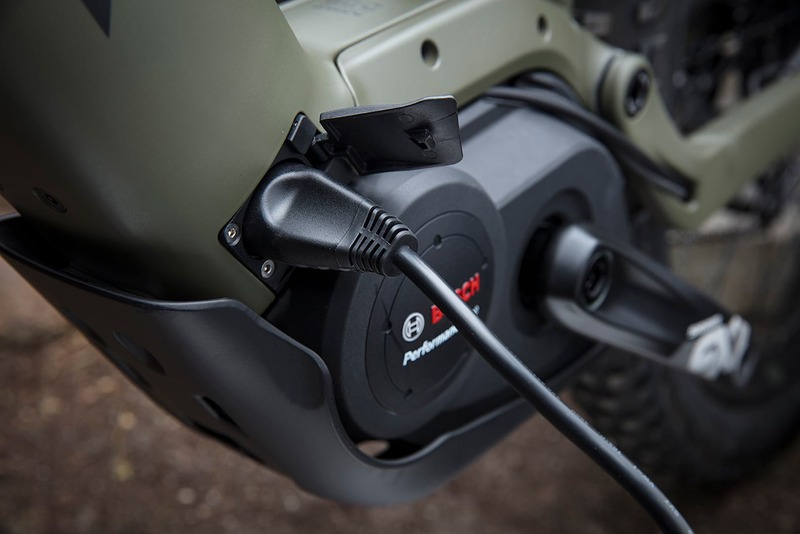 This does make the bikes more bike ‘like’ in appearance but comes with some drawbacks for those riders who need to take the battery out to charge it. The Specialized system, for example, has a battery that slides into the frame through a hole just above the BB on the downtube. It’s a pretty logical place to have it, after all. But the problem with this approach, according to Trek, is that this entry point is both hard to get at and also prone to a lot of crap ingress. It’s a point that it’s pretty hard to argue with, to be honest, even if for those who can combine storage and charging (in a garage) of the bike it’s a non-issue mostly. 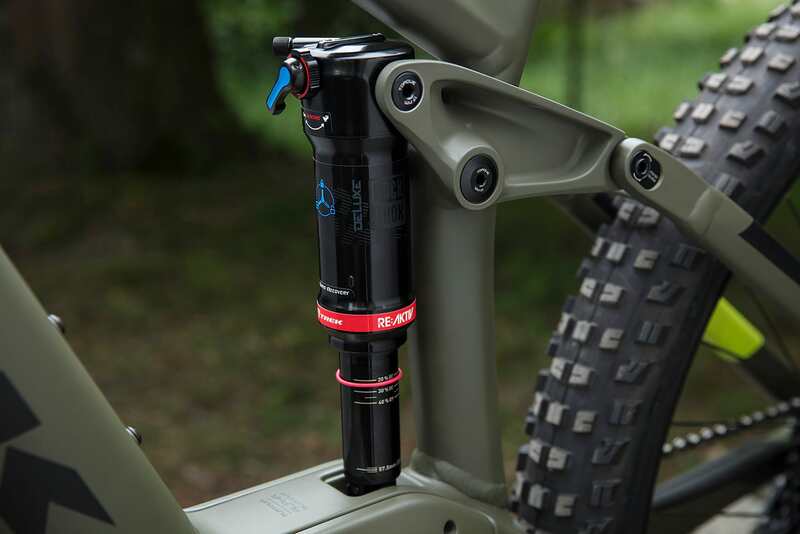 Trek have gone to great lengths to offer a more convenient solution by creating a side entry access point for the battery on the downtube. But not only that but they’ve stuck the battery cover onto the battery itself so there’s no messing about with separate cover plates. There’s even a handy carry handle now built in to the batter itself to make it all easier. 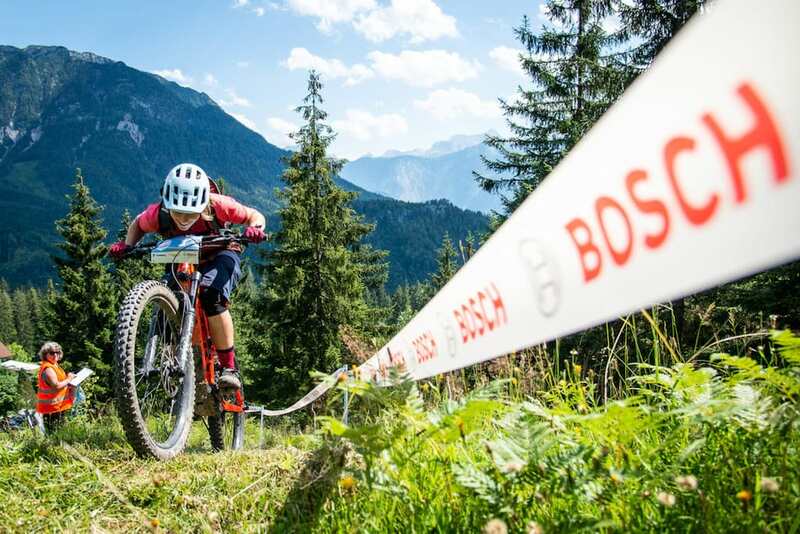 It’s a clever approach to the convenience that e-MTB owners tend to look for at the higher end of the range, certainly. 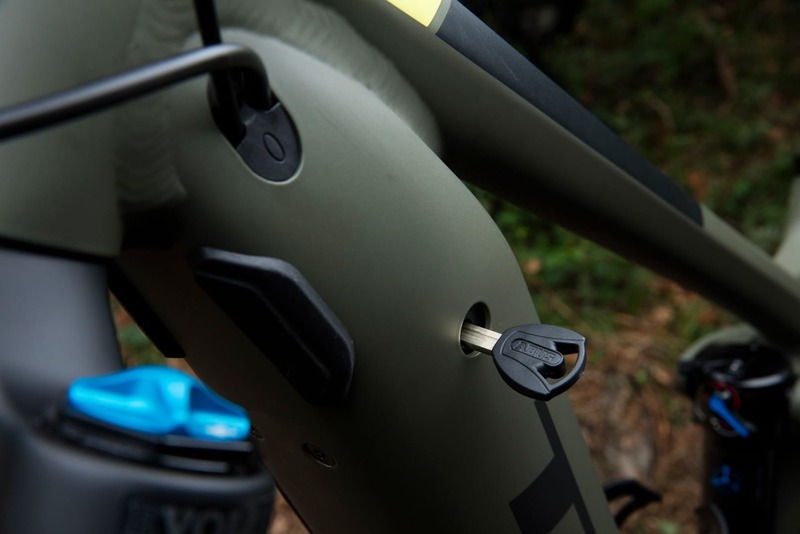 Trek state that if you want extra frame covers to go with an extra battery, or if you damage/lose your battery cover, you can order new ones from your local Trek dealer. 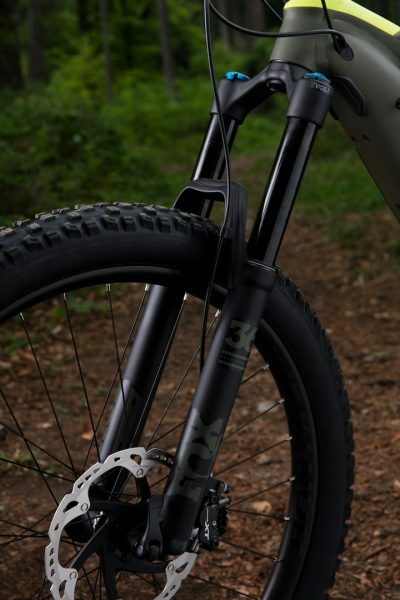 Featuring a new e-MTB specific Fox 36 Float fork that is stiffer to take the somewhat larger forces that this bikes 51lbs can put through it. Mark got to ride the long travel (150mm) version of the Powerfly LT but there’s also a shorter travel (130mm) version for more XC related duties. 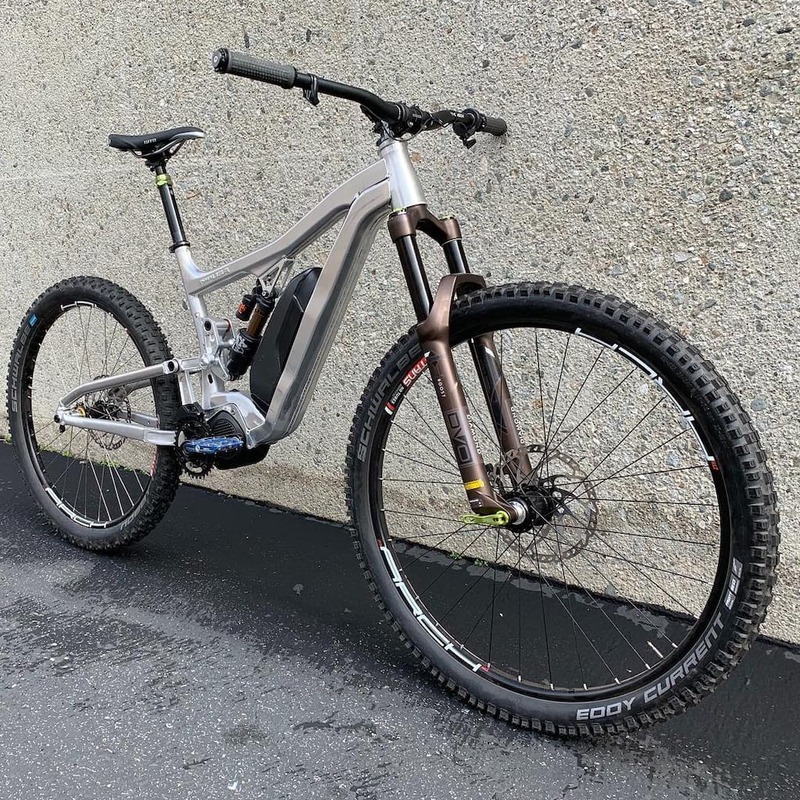 I got to ride the LT 9 model in the Powerfly range, but there’s two more models above this one, both coming in full carbon to shave about 600 grams off the overall weight of the bike. 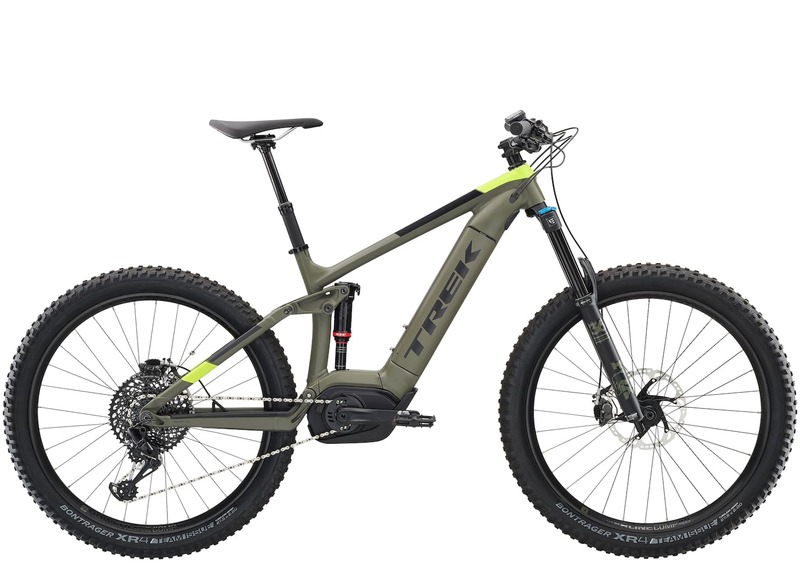 Not a huge amount to be honest when you consider the 51lbs (23kg) of the LT 9 here but Trek claim that the use of Carbon leads to a better looking bike around the motor and it’s quieter when the motor is running. If those latter points are important to you ten carbon may be something you might consider. If it’s weight savings you are looking for then I’d suggest you skip a few meals rather than shell out another £2k for the LT 9.9. 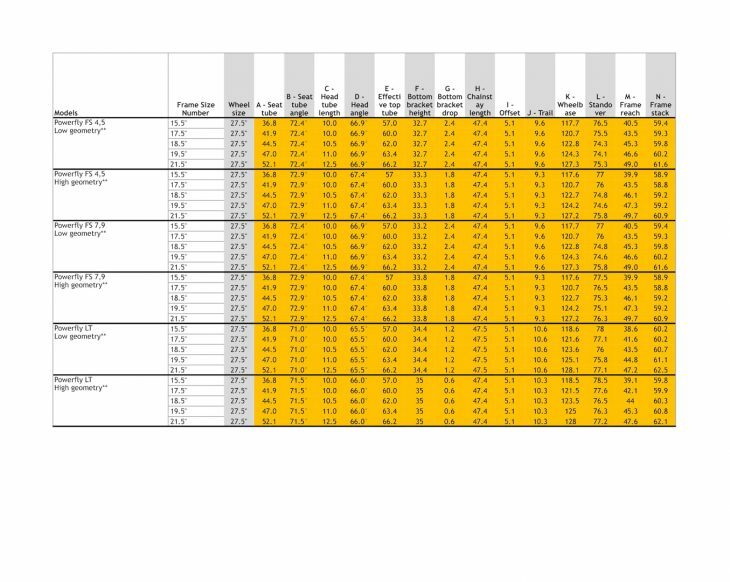 That said, there is a carbon model (9.7) that is the same £5200 prices as the LT9 I rode that specs a lesser RS Yari fork and shock, Shimano MT520 Brakes and SRAM NX Eagle to maintain that price point. I guess it comes down to if you prefer a better component spec or not. There’s no LT 8, for some reason. 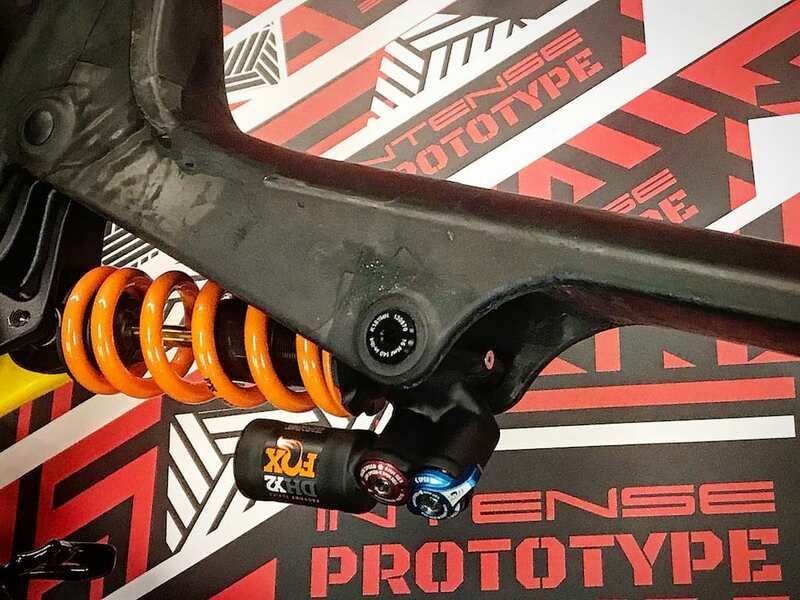 Instead the next step down from the LT 9 is the LT 7, which is essentially the same frame as the LT 9 but with those stepped down Fork, Shock options and a Shimano 1×11 XT groupset and MT520 Brakes. There are some other ‘savings’ in the non-glam components too. The LT 7 is priced at £4500. The shorter travel version of the Powerfly (130mm) is aimed at the slightly less burly rider who may be more interested in long days out rather than hitting the big descents. This is the Powerfly FS range and the the FS 9 comes with a RS Pike RC Debonair fork and RS Deluxe RL shock. Other than that, it’s pretty much the same spec as the LT 9. The FS 9 is priced at £5000. There is no carbon option for the FS range. 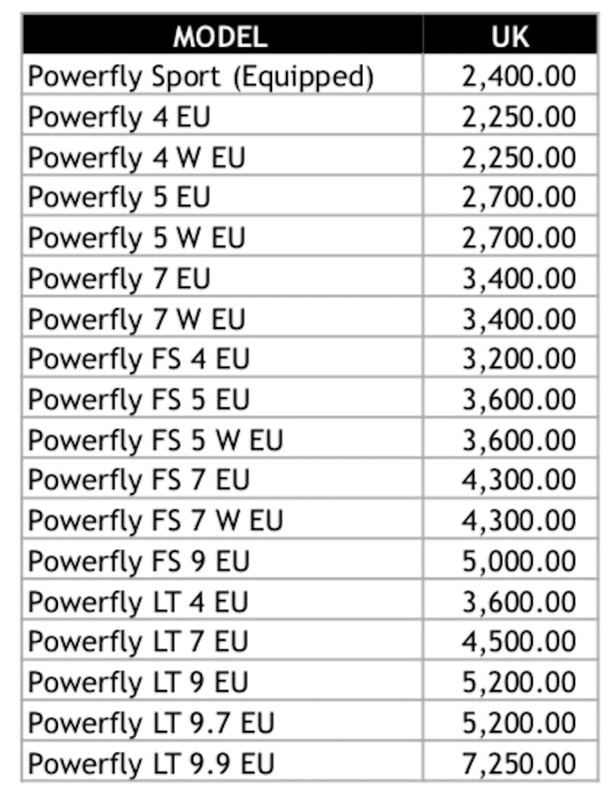 The Powerfly 4,5 & 7 options are hardtails and the ‘W’ = womens’ versions with dropped top tubes, women’s specific saddles and a smaller size option. 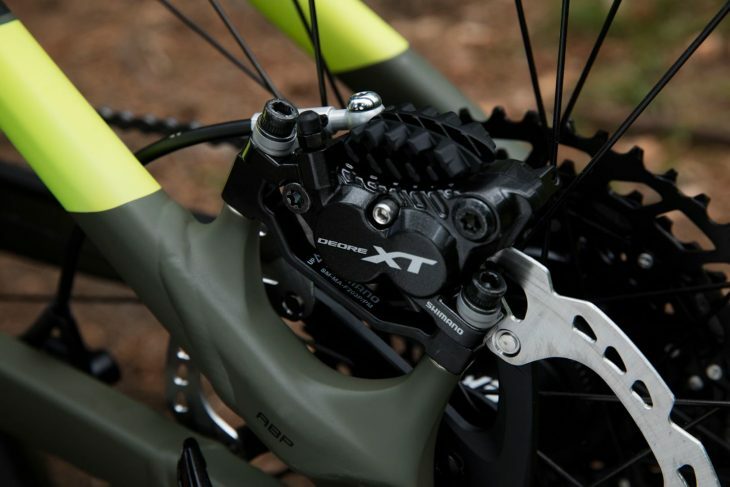 New for 2019 are the twin pot Shimano XT brakes. Twin pots = more stoppings – handy when there’s a whopping 51lbs you need to put the anchors on. Turn the key and the battery pops out complete with the frame covering attached.